Mid-Atlantic: My old stomping ground. New Jersey, New York, Pennsylvania. New England: Where I live now. Connecticut (my old frostbite club), Massachusetts and Rhode Island (most of the sailing written about on this blog in the last year). And Maine. I had a vacation at a very weird resort in Maine with the family many years ago. And there was some sailing involved. But the full story can wait for another day. Chesapeake: Delaware (a memorable Sunfish North Americans in 1995), Maryland (mainly regattas in Annapolis), and Virginia (several regattas at Fishing Bay YC). I think that's all. How many is that? Thirteen states? Pretty pathetic really, considering I've been living in this country for twenty years. I really should have been more adventurous in my sailing. So should "sail in all fifty states" be on my bucket list? On the one hand a target like that does make you start thinking about interesting ways to explore other sailing waters. Not sure I would try and do them all in one summer like Jobson suggests. But picking off four or five new states a year for the next ten years might be fun. On the other hand it seems like an awfully artificial way to plan your sailing. Sure it would be cool to sail on a mountain lake in Montana or Wyoming, or try some of that desert sailing in New Mexico and Arizona that Pat and Carol Anne are always writing about. And I can't believe I haven't yet sailed the Columbia River Gorge or San Francisco Bay. But it would seem odd to say, "Let's see. I think I'll go sailing next month in Iowa, Nebraska and South Dakota," just because I need to tick them off my list. Pause to allow readers in IA, NE and SD to leave abusive comments about all the superb sailing venues in their states. Where was I? Where am I? Oh yes. Bucket list. So maybe I will and maybe I won't put the Fifty State Strategy on my bucket list. Or perhaps I will add instead "Sail a world championship regatta on all six continents." (I'm not counting Antarctica). 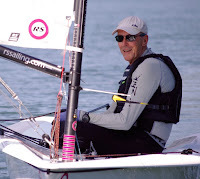 I've already done Sunfish Worlds or Laser Masters Worlds in North and South America, Europe and Australasia. So all I need to complete this one is Africa and Asia. It's a while since the Laser Masters Worlds was in Africa. Maybe I would have to sail a different class? I also have a feeling that it's slightly immoral, given the current concerns about global warming and climate change, to set out on a quest of burning up thousands of miles on the road and in the air to travel just for the sake of travel. Part of me feels that it makes more sense to go to the other extreme and maximize the boating enjoyment I can have on all the waters within fifty miles of my own house where there are plenty of aquatic opportunities of all kinds. So what do you think? Does a goal like "sail in all fifty states" make any sense? Would you want to do something like that? (Translate to counties, provinces, or whatever if you don't live in the USA). Or is it just too artificial a way to plan your sailing activities? Would you rather just pick and choose the outings that happen to appeal to you, without bothering to do the research to even find out what boats they sail in North Dakota, say? We used to travel overseas more, before the dollar tanked and before we got our cruising boat. For the past few years, we've vacationed closer to home and rediscovered places we thought we knew. We're lucky to live in an area that many consider a vacation destination - much like the New England coast. Last summer, we took the boat down the coast to Santa Cruz and Monterey - two places we visit often ashore. But how different they were when approached from the water, when we spent our time there living in the harbors and meeting local sailors. Even non-sailors greet you differently when you arrive by boat. I might put on my list 'sail someplace I think I know but have never sailed before'. I've always thought it would be cool to gunkhole in a small boat along the coast of Maine. Ever taken your Laser there? Where have I sailed in the US? Maine, New York, Florida, Puerto Rico (I know, not a state), California, Hawaii, and Guam (again not a state). How pathetic is that? 5 states in ...cough, cough, cough....much anos. I was born here, so I would say that you have done really well with your 13 states. I know that one of Pat's ideas IS to sail in (or off the coast of) all 50 states, but not in such a short time frame as Jobson proposes. I think it's a very worthwhile sailing goal. So far, however, our list is short: New Mexico, Texas, Colorado, Arizona, and California. I don't think you should feel guilty about the fuel consumed in traveling. 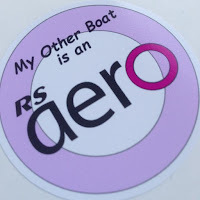 So long as you don't add the specific detail that you have to do the sailing in your own boat, you can fly to where you're going (airplanes consume only a teensy amount more fuel when you're occupying a seat as opposed to leaving that seat empty). If you fly standby and either borrow or rent a boat when you get where you're going, you are not making a negative impact on the planet. I was challanged recently to think about the cost of my sailing especially in regard to the fuel costs. The cost of travel is nearly 50% of my costs. I still think its cheap for a hobby at about £100 a month. I just wish I lived closer to the club! Well I must go and plant some trees now. Opps total = £1175 ! It certainly should be possible to sail all 50 states. Sure, the goal is artificial, and maybe not very interesting or meaningful to many people, and maybe the time frame is way to difficult or painful for most. But, having some sort of goal can be a fun challenge. If not sailing in 50 states, then sailing in 50 new places, or on 50 different classes of boats, or whatever. West Virgina, approx. 0.6% water surface, Summersville Lake; Arizona, 0.3% water surface, Lake Pleasant, Tempe Town Lake, Lake Roosevelt; Colorado, 0.4% water surface, Granby Lake, Dillon Lake, Cherry Creek Reservoir, Carter Lake, Pueblo Reservoir, Vallecito Lake; and New Mexico, 0.2% water surface, Elephant Butte Lake, Heron Lake, Cochiti Lake. As we like to say in New Mexico, "Don't worry, it's a dry heat!" Idaho, 0.95% water surface with some beautiful lakes; Iowa, 0.7% water surface; Kansas, 0.55% water surface; Nebraska, 0.6%; Nevada, 0.7%; and Wyoming, 0.7%. Then we compare our dessicated desert sailing state with the folks in Rhode Island, who not only all live within a few miles of the sea on bay, but also have given up 15% of their state's so-called land area to water surface. Which brings to mind another artificial sailing challenge: create a list of the greatest contrast in sailing experiences. Where in the USA is it practical to sail at the highest altitude? (For example, Dillon, Colorado, hosts a large regional regatta at 9700 elevation above mean sea level.) How about sailing in the wettest and driest places? If not a 50 state strategy then at least trying to get as close to 50 as possible. I'm weak in this department...I have New York, Massachusetts, Rhode Island, Delaware, North Carolina, Arkansas (!) and Hawaii. 43 to go. I don't even have New Jersey! I would stick with goals that you actually want to achieve! If sailing in CA makes the list, let me know. I'd be happy to help you fulfill that one.